is unmarried, the secretary of the Faith Holiness congregation, and for thirty-four years has led a model life. She has nursed her crippled mother, stood by her family when her wild, beloved brother defied the church and fled to California. And she is resigned to the prospect that life has passed her by... forever. 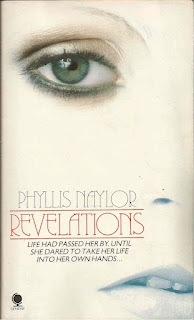 Quick flick reveals: Phyllis Naylor is best known as a children's author, notably for the 'Alice' series as novels, and neither her own website or Wikipedia mentions Revelations. It's almost as if everyone were keeping deliberately quiet about it. 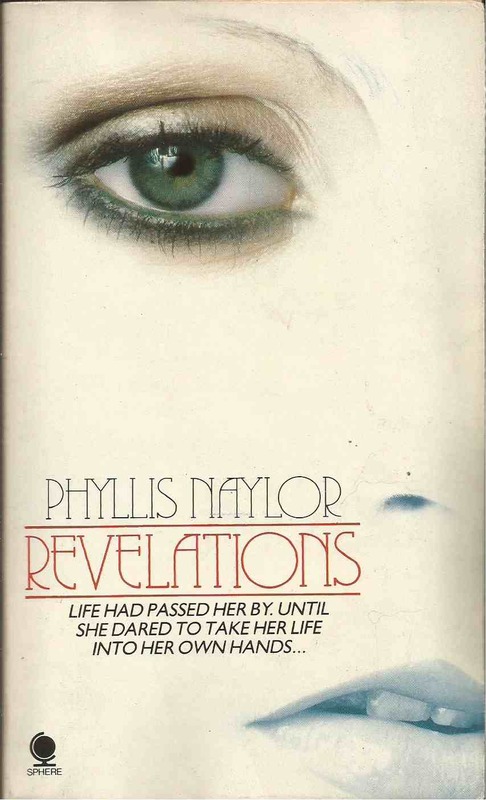 But I am here to tell you that Phyllis Naylor wrote a rude novel in which a man puts his thingy in a lady's thingy and no one can stop me! Anyway, it all looks rather thoughtful and decent, and probably doesn't deserve being kept in a basement on a chain, living on slop from a bucket.